Based in Vaughan, our family law firm has serviced hundreds of clients across Ontario, including Toronto, Richmond Hill, Markham, Mississauga, Brampton, and other locations. We understand that family disputes and legal issues can be emotionally and financially troubling times for you and your loved ones. 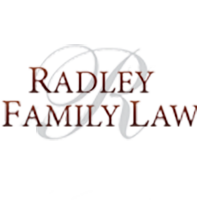 With that in mind, we are certain that by choosing Radley Family Law, you will obtain the best possible outcome available under the law. Barrister and Solicitor - H.B.A., J.D. If you have a family dispute or legal issue, contact a member of our team today to setup a free consultation with our legal team. We specialize in a wide variety of services such as spousal and child support, separation and divorce, prenuptial agreements, marriage agreements, property disputes, and many other family and legal issues. Our team is committed to providing the highest standard of service in our industry, a level of service that we would demand for ourselves and our family – because family is important to all of us.